Feeding America, the nation's largest domestic hunger-relief organization, recently released the 2018 Map the Meal Gap study, providing benchmarks for hunger-focused organizations across the country to use as they serve individuals who are "food insecure," a term defined by the USDA as "consistent access to adequate food is limited by a lack of money and other resources at times during the year." According the Map the Meal Gap for 2018 report, food insecurity exists in every county in Second Harvest’s service area. Additionally, 47% of residents of Second Harvest who are food insecure are likely ineligible for federal nutrition assistance under current program requirements. Overall food insecurity in Second Harvest’s region ranges from a low of 12.9% of the population in Huron County up to 14.3% in Crawford County. Lorain County has the largest population overall and has a 13.2% food insecurity rate. The Child food insecurity rate in the four-county area is 20.5%, which means that 22,390 children are struggling with hunger. Thirty per cent of those children are likely ineligible for federal nutrition assistance under the current program requirements. Second Harvest Food Bank is one of 200 food banks in the Feeding America network that collectively provides food assistance to 46 million Americans struggling with hunger. 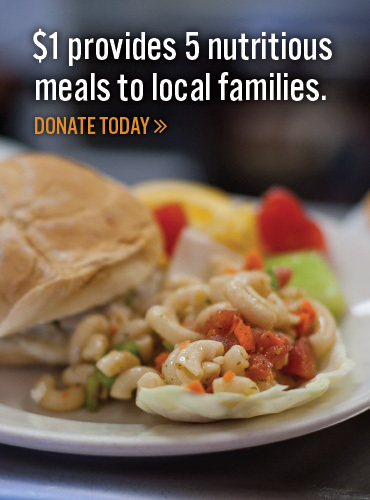 Each month Second Harvest serves nearly 49,344 meals each month to those struggling with hunger through their partner charities. The Map the Meal Gap analysis was developed by Dr. Craig Gundersen for Feeding America. Food-insecurity rates are based on a state-level model that allows for the population in need of food at the county and congressional district level. Additionally, Feeding America worked in collaboration with the Nielsen Company to arrive at estimates for food-cost variation by county. Results were reviewed by the Feeding America Technical Advisory Group in order to ensure accuracy and promote transparency. A summary of the findings, an interactive map of the United States, and the full report are available at www.feedingamerica.org/mapthegap.